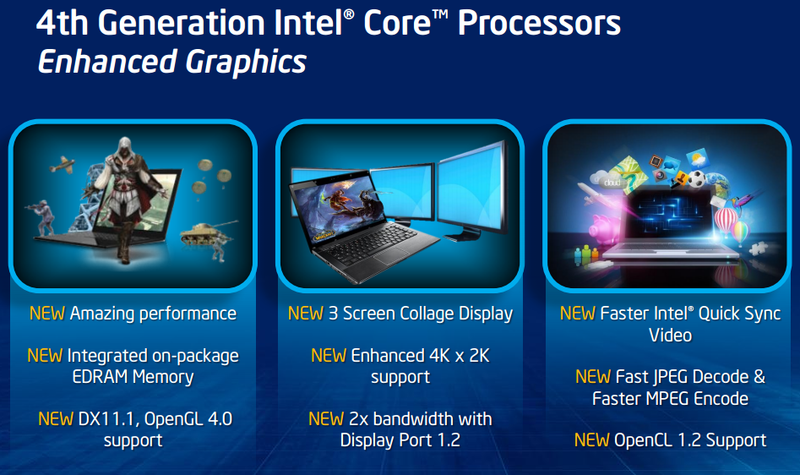 The Intel HD Graphics 4400 (GT2) is a processor graphics card included in some of the ULV Haswell processors of 2013. The relatively low base clock can be automatically overclocked using Turbo Boost technology. Depending on the processor model, the turbo clock rates may differ, resulting in varying graphics performance between models. In comparison to the HD 4000, the HD 4400 graphics core has been modified extensively. 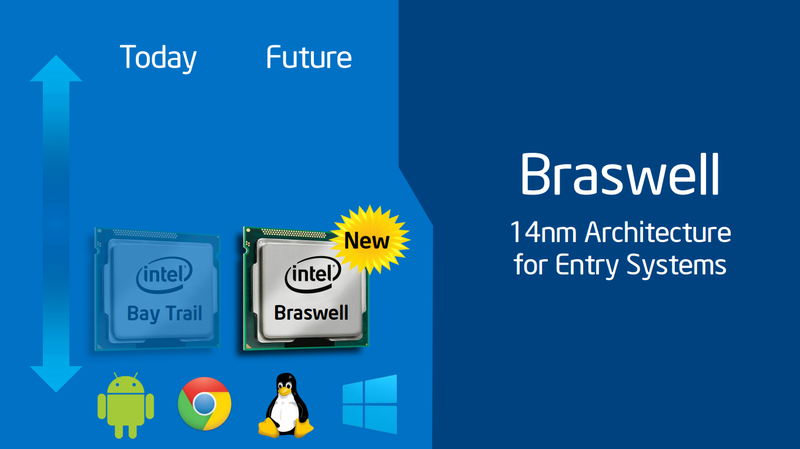 The GPU now supports DirectX 11.1, OpenCL 1.2 and OpenGL 4.0. It also features an improved decoder for 4K videos and the fast Quick Sync encoder. Compared to the faster 4600, the 4400 offers the same amount of shaders, but lower clock speeds (see table of clock speeds of the different CPU models below). The performance of the HD Graphics 4400 is somewhat below the HD 4600, since the GPU is designed for ULV models. Therefore, the clock rates are relatively low. Furthermore, the reduced TDP limits the Turbo Boost. Compared to the ULV versions of the Ivy Bridge HD 4000, the HD 4400 is about 20 - 30 percent faster. This performance boost is achieved by architectural improvements and an increased number of execution units: The GT2 version integrates 20 EUs, compared to 16 EUs for the old HD 4000. Depending on the clock rate, the HD 4400 matches the performance of a dedicated Radeon HD 7550M. Due to the 22nm 3D Tri-Gate production process, the power consumption is relatively low. The HD Graphics 4400 can be found on ULV dual-core Haswell models with a TDP of 15 watts.